Walk on play vs. private play. What are the differences? If you are planning a paintball party but aren’t sure which playing option is best for you look no further. We have put together a quick comparison of the two options to help you determine the best option for your group. If you have a group of players celebrating something, such as a birthday party or bachelor party, consider reserving a private session for your group. A private session means you’ll play only with the people in your party. You’ll also be able to schedule your party for a time that’s convenient for your group. The private play option is especially popular with our younger birthday parties. The private option gives you complete control of who is playing with your party. As a private party, your group will be able to take things at your own speed. Players who are new to paintball will find this to be the best option. As a private play group, you’ll be assigned your own party host. Our party hosts are your guide to an awesome day of paintball. They’ll teach you the safety rules and show you how to use the equipment. They also have a wide variety of games and scenarios they can set up for your group. If there’s a particular type of game you want to play, or a playing field you just can’t wait to experience, just let your party host know and they’ll make sure you have the experience of a lifetime. 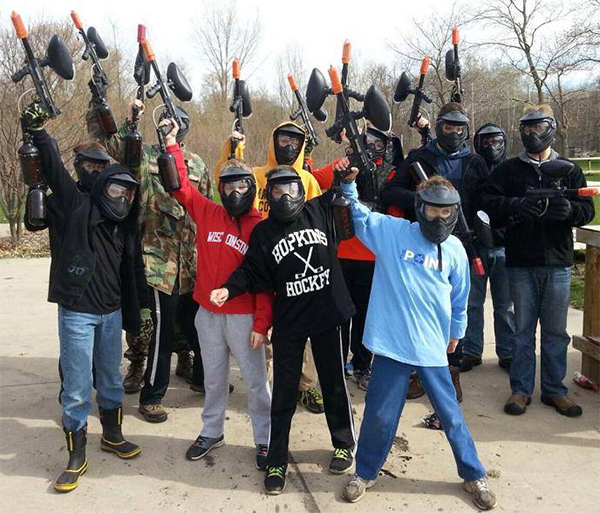 Our walk-on play sessions are designed to allow small groups and individuals to play paintball with other players. This is a great way to increase the fun for small groups that want to play in bigger games. We keep our rental players separate from more experienced players who have their own paintball guns. By keeping rental players separate, we ensure new players aren’t put up against players who may have significantly more experience playing paintball. Still not sure which option is best for your group? Give our party specialists a call at 952-492-6776. 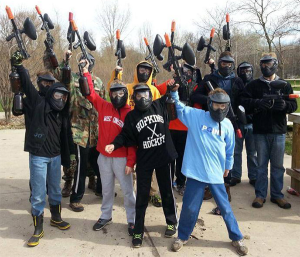 They’ll work with you to put together the perfect day of paintball for your group.